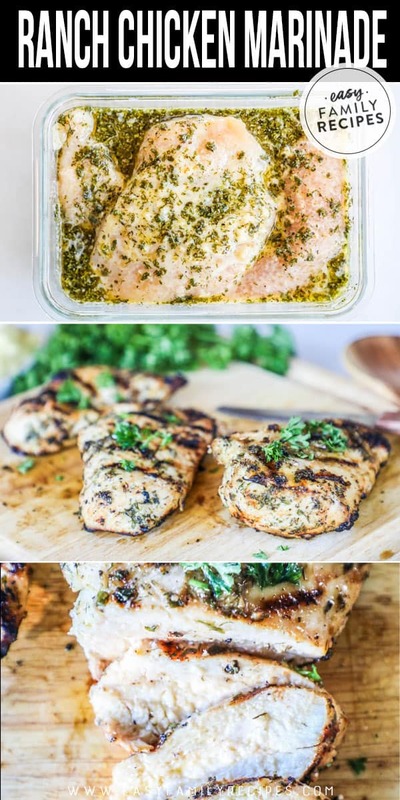 This Ranch Chicken Marinade packs in all of the ranch flavor you love for a grilled chicken that is tender, juicy and out of this world delicious! 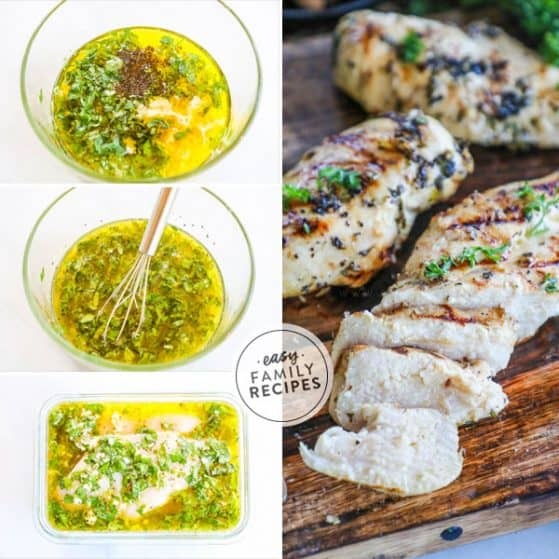 The marinade is a simple recipe, made with only 5 ingredients so it quick to prepare either for a weeknight meal, or a barbecue with friends! 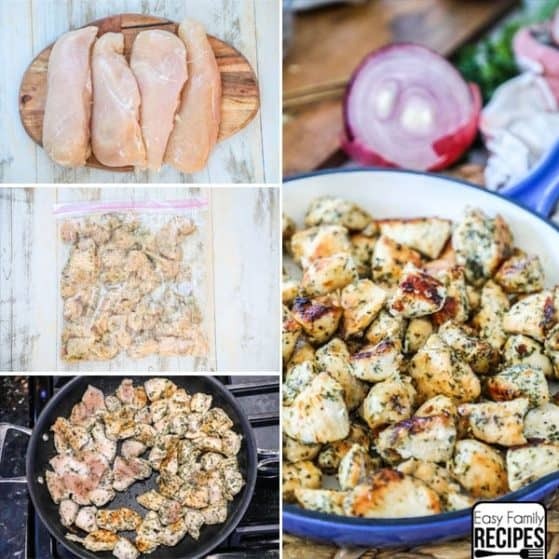 If you love ranch, then this Ranch Chicken Marinade won’t disappoint! Ranch is a favorite in our family. Whether we are using it as a dip, as a dressing, or using it to flavor our dinner. 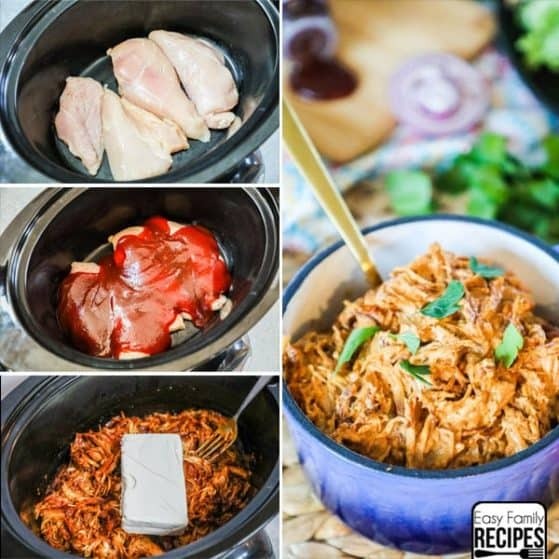 This Ranch Chicken Marinade Recipe is my go-to for grilling! 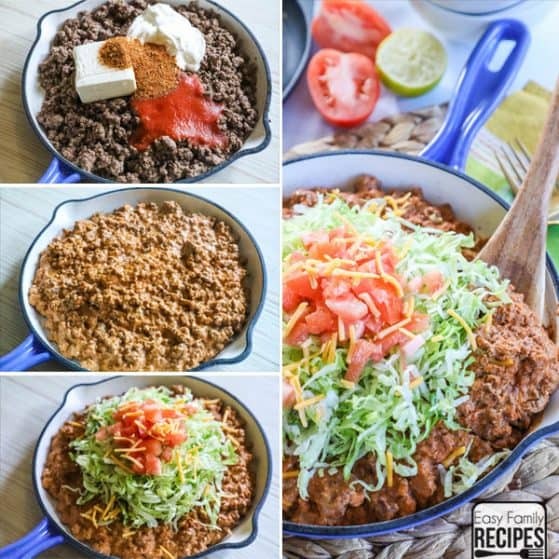 This recipe is super simple with only 5 ingredients, so it is great when you are short on time, but still want an extra delicious dinner. It can be made as written to feed a family, or easily scaled to feed the whole neighborhood! Not only is this ranch marinated grilled chicken loved by adults, but my kids gobble it up just as fast! And as a bonus, it is low carb, gluten free, has no added sugar, and is even friendly for keto diets. So it works well for a variety of dietary needs which can be extra helpful if you are entertaining. This chicken is served perfectly hot from the grill accompanied by your favorite side dishes. 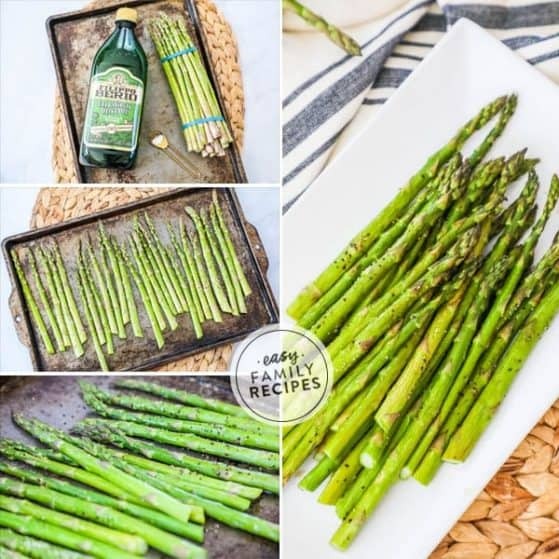 It also tastes great cold and can be saved, then sliced to add to salads, sandwiches, wraps and meal prep! I like to make it for dinner and eat it hot one night, and then make sure we make enough for leftovers to help make a few extra easy lunches or dinner over the next few days. Make sure to see the bottom for more ideas on what to make with the leftovers! Corn Casserole – Our favorite side dish! You can pair the Grilled Ranch Chicken with one, or a few of these for a delicious dinner. If you have a favorite side for this meal, let me know in the comments so that I can give it a try! This recipe is super simple! 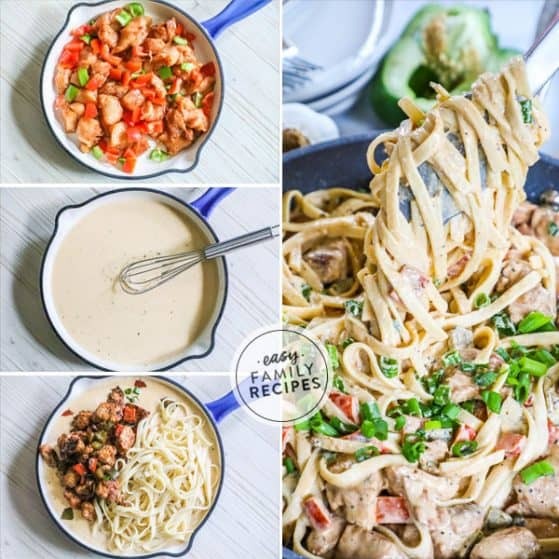 I am going to walk though some tips for making the recipe and hopefully answer any questions that might come up as you cook. Make sure to scroll to the bottom of this post for the FULL recipe card. To make marinade, whisk together the buttermilk, pickle juice, ranch seasoning, and olive oil. You can use either my homemade ranch seasoning, or packaged ranch mix from the store. I personally use the homemade seasoning. I like to make a big batch and use it regularly for meat, as well as, seasoning veggies, potatoes and other sides. And of course it makes awesome dressing and dip too! If you are gluten free or low carb, I highly recommend using the homemade ranch seasoning. For the pickle juice, I just strain the juice from the jar of dill pickles in the fridge. Make sure to use dill and not sweet! The buttermilk in the recipe plays an important part in tenderizing the chicken. You can use low fat or full fat interchangeably. Poke chicken all over with a fork. Place the chicken in a dish or zip top bag and pour the marinade over the chicken to cover completely. Refrigerate for up to 4 hours, with a minimum of 30 minutes. When selecting chicken, I like to use thinner chicken breasts. This will help them cook more quickly and evenly. 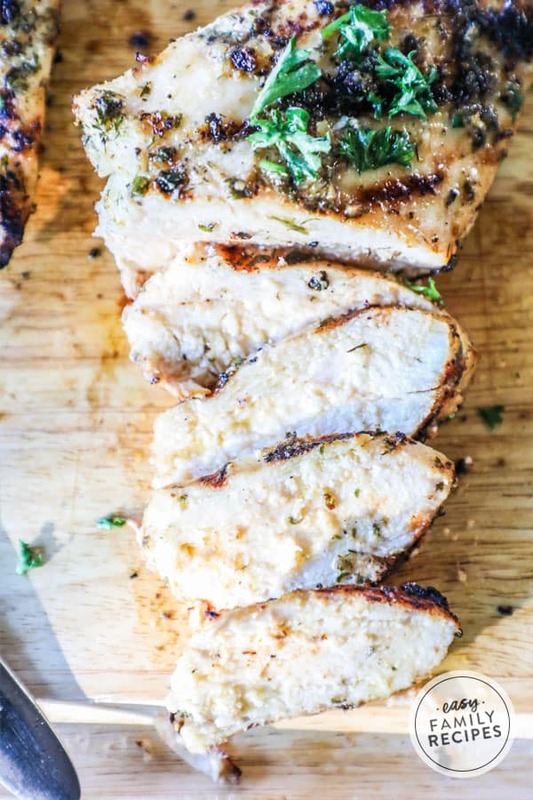 If your chicken breasts are thicker, you can cut them in half horizontally so that they are half the thickness. Make sure they are at least 1/2-1″ in thickness so that they don’t dry out. Make sure the bag or dish you use for the chicken is not too big. The closer fit you have the more immersed in the marinade they will be. If you are using a zip top bag, make sure to squeeze all the air out and fold it over if there is any excess space. I suggest marinating for 30 minutes- 4 hours, however if you want to you can prepare the day before and marinate overnight as well. Heat the grill to medium heat and brush with oil to prevent sticking. Place chicken on the grill and cook for 4-6 minutes per side, depending on thickness. Cook to an internal temperature of 165˚F. Allow the grill to preheat before placing the chicken on to help the chicken not stick, cook evenly, and get those beautiful grill marks. Make sure the temperature is right! I like a medium heat for cooking chicken to allow the chicken to cook through without getting burnt or dried on the outside. I also like to leave one burner off on a gas grill so that if you find a piece that is browning more than desired, you can move it to the cooler spot on the grill to finish cooking without burning. Once done, remove chicken from grill and allow to rest for 5 minutes. Then serve warm. Enjoy! Allowing the chicken to rest helps to seal in the juices! Once the chicken rests you can serve immediately, or allow to cool and store for salads, sandwiches, wraps or meal prep. Can I use chicken thighs or other cuts of chicken with this marinade? Yes! You can use chicken thighs, wings, or tenderloins. You can also use bone in or boneless, skinless chicken. If you change the cut of chicken, the cooking time and temperature may change as well. Why is my grilled chicken dry? The number 1 culprit of dry grilled chicken is over cooking! If you have dry chicken, make sure of two things. The grill should be on a medium heat. This is going to be around 425˚F. You only cook the chicken until done. The best way to do this is stick a meat thermometer in the thickest part of the chicken. For chicken breast, it should read 165˚F. If you don’t have a meat thermometer, I highly recommend it! They are inexpensive and you can find them at most major stores or on Amazon. It will really up your grilling game! Why is some of my chicken burnt? Almost all grills have hot spots. This means that they are hotter in some areas than others. It is important to keep an eye on the meat as it grills. If you notice a section of the meat getting too browned, then you can rotate that piece to a cooler section. I like to leave one burner of my grill off so that I can rotate pieces toward that area if they need to continue cooking but they are getting too browned where they are. Can the chicken marinade overnight? Yes! I suggest at least 30 minutes to 4 hours as an optimal time for flavor, but you can safely marinade this chicken in the refrigerator over night as well. I’m having a BBQ! Can I make this for a crowd? Absolutely! 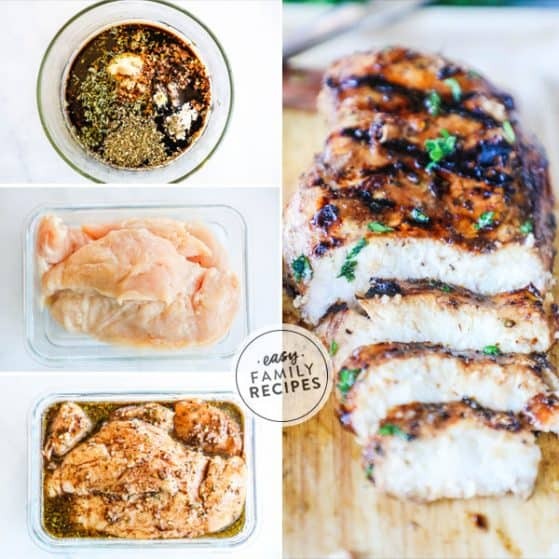 You can double, triple, or even quadruple this Ranch Chicken Marinade recipe with good results. Cook the chicken in batches on the grill so as to not over crowd the grilling space, and cover any chicken that is done with foil while you wait for the remaining chicken to cook. Ranch Chicken Salad– Pile up hearty greens like romaine and spinach and top with ranch chicken, and your choice of: tomatoes, avocado, black beans, corn, onion, bell peppers, and crumbled bacon. Top with ranch dressing and a sprinkle of cheddar cheese. Ranch Chicken Wraps– In a large tortilla or wrap bread, spread a thin layer of ranch dressing over the tortilla. Add sliced ranch chicken, avocado, thinly sliced red onion, diced tomatoes (or pico de gallo) and a handful of baby spinach. Roll up, slice in half and enjoy! Bacon Ranch Chicken Quesadillas– Heat a griddle to medium heat. place butter on one side of 2 tortillas. Place the first tortilla on the griddle and add cheese, cubed ranch chicken, and a drizzle of ranch dressing. Top with the other tortilla butter side up. Flip over once the first side is browned and the cheese is melted. 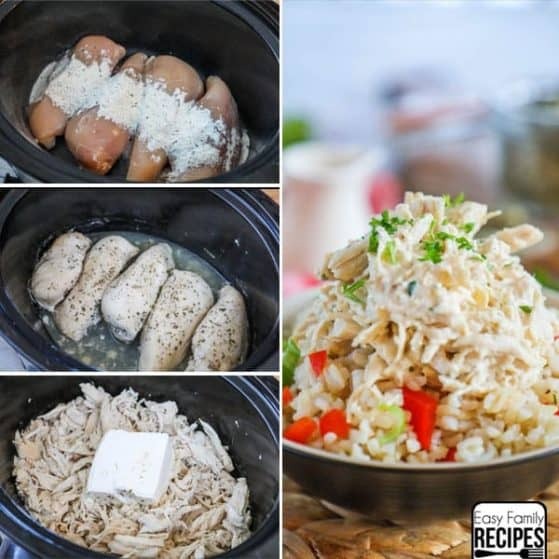 Ranch Chicken Power Bowl– Place a scoop of quinoa in a bowl. Top with chopped baby spinach, thinly sliced red onion, diced ranch chicken, diced hard boiled egg, tomato, bell pepper, and a drizzle of ranch dressing. 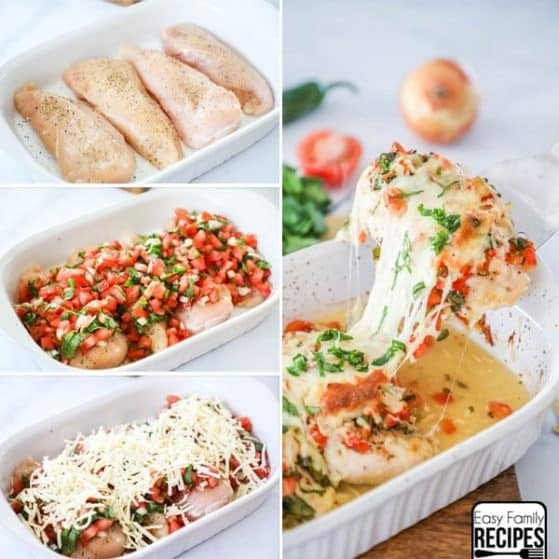 Ranch Chicken Meal Prep– Slice the ranch chicken, then pair it in a meal prep container with your choice of meal prep friendly sides including: cucumber tomato salad, broccoli salad, roasted cauliflower, rice or quinoa, or roasted sweet potatoes. 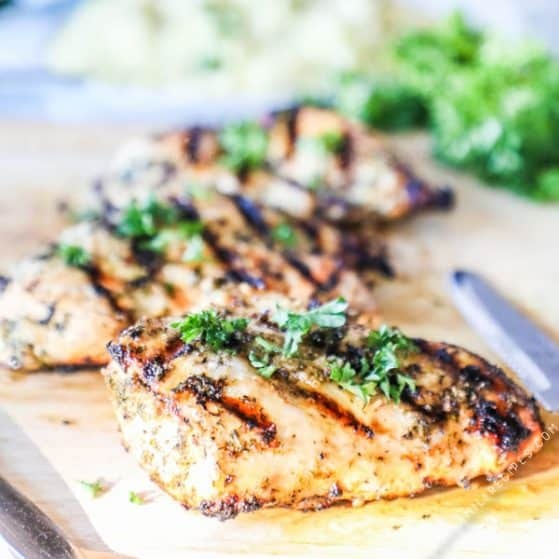 If you love to grill as much as we do, make sure to bookmark these other grilled chicken marinades! 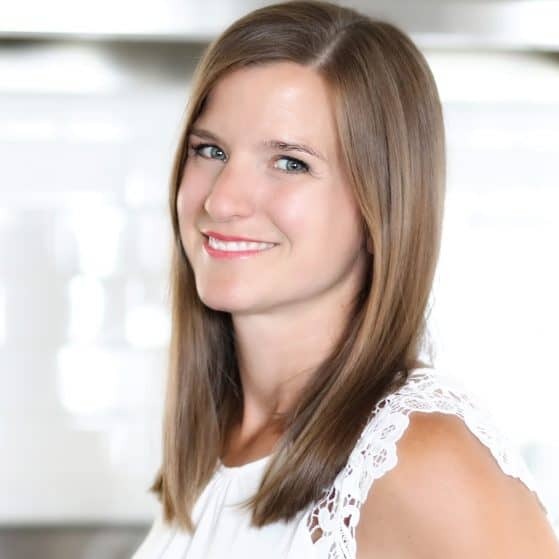 Also, I would love to invite you to sign up for my e-mail here to get delicious recipes regularly in your inbox for FREE! Also, I would love for you to take a moment to leave a comment or review! Not only do I love hearing your experience with the recipe, but your positive comments and reviews help my website to grow! 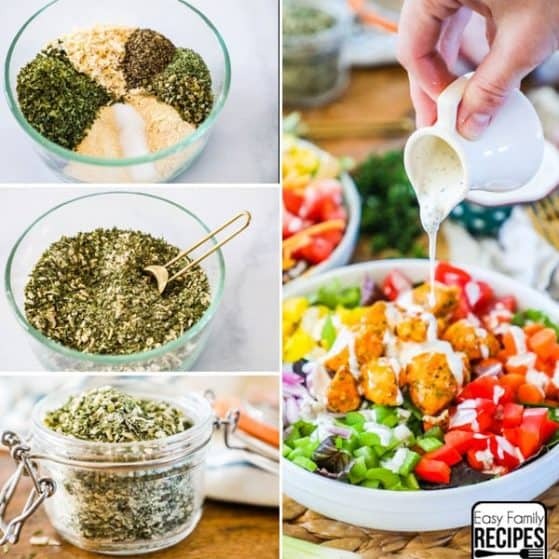 This 5 ingredient Ranch Chicken Marinade is quick and easy to make and PACKED with delicious ranch flavor! Make it as is for a family, or easily scale it up to entertain family and friends. Heat the grill to medium heat and brush with oil to prevent sticking. Place chicken on the grill and cook for 4-6 minutes per side with the cover closed, depending on thickness. Cook to an internal temperature of 165˚F. 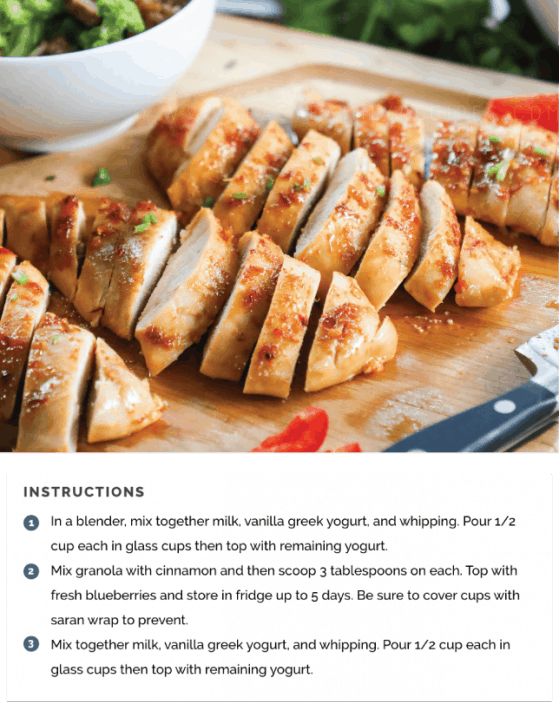 You can butterfly the chicken, or use chicken tenderloins in lieu of full chicken breasts to help the chicken cook more quickly. Other cuts of chicken such as chicken thighs, wings, etc. may be used with this recipe. Cooking time may vary. Leftovers can be stored in an airtight container for 3-4 days in the refrigerator or in the freezer for up to a month. Please check all packages of products bought to ensure compliance.